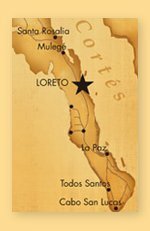 All the magic of Loreto is at your reach in Las Villas de Mexico at Loreto Baja. Inspired by old traditonal casas from Central Mexico, with courtyards, squares and alleys, Las Villas de Mexico at Loreto Baja is an excellent choice of life. The development has stunning two story villas, exclusive condos with spectacular views, and spacious townhouses and custom homesites.